Let's start with the back side of the paper facing up. 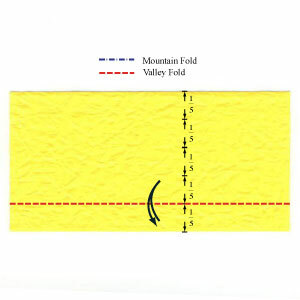 Apply the horizontal valley-fold of the step #1. 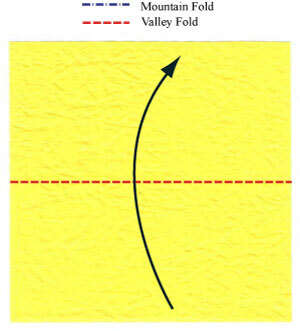 Prepare to apply another horizontal valley-fold and then unfold.